Santa Maria della Consolazione is a small, rather plain and gloomy church at the foot of the Capitoline Hill right across the street from the Tarpeian Rock. I just peeked in the church at the end of a long day of walking around Rome and didn't have much energy for any unprepared exploration. 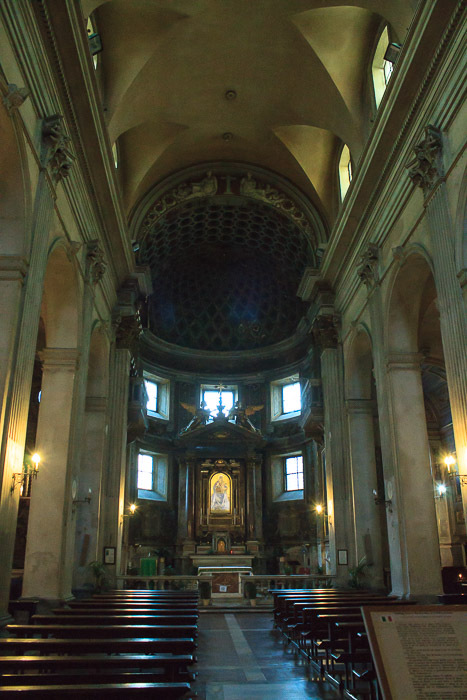 See all Santa Maria della Consolazione photos.